Dame Diana Rigg is best known for her role in the Avengers, as a Bond girl and theatrical critical acclaim. How has it been dealing with the unpredictability of an acting life? 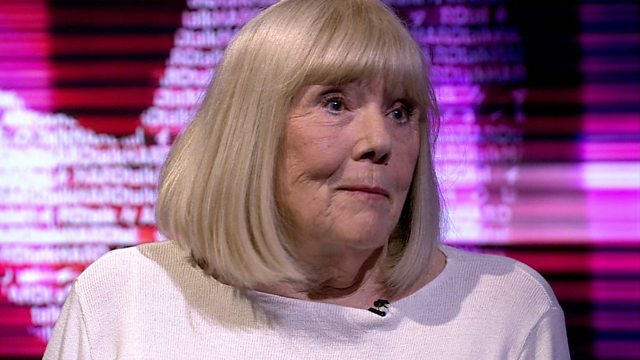 HARDtalk's Stephen Sackur talks to Dame Diana Rigg, a great British actor whose body of work represents a paradox. In the public mind Diana Rigg will forever be linked with performances which were almost a sideshow in her long career. I'm thinking of her role in the Avengers, and as a Bond girl. Both attracted huge attention, but it is in the theatre that she's won critical acclaim and a host of awards. Now she has an iconic role in the hit series Game of Thrones. So how's it been dealing with the fickleness and unpredictability of an acting life?